Can you still patent software? And other questions about patent law. - Gottlieb, Rackman & Reisman, P.C. 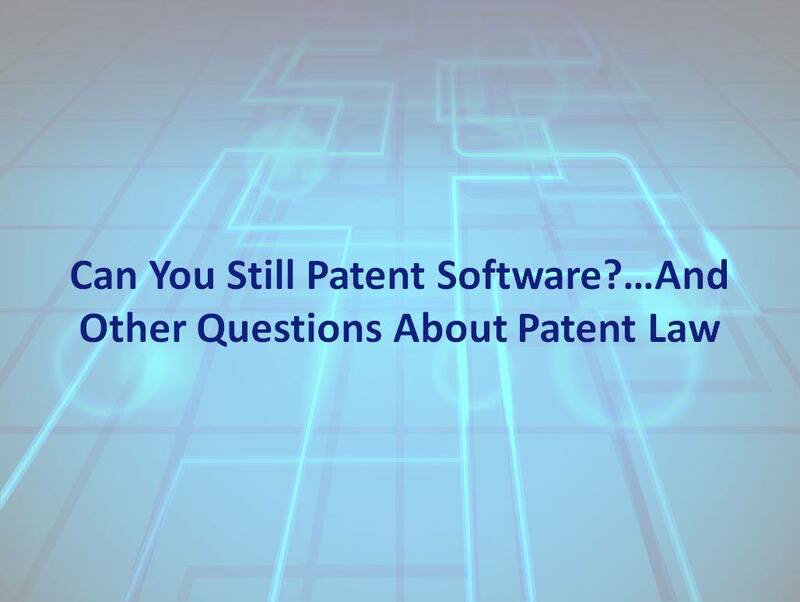 Events > Can you still patent software? And other questions about patent law. Can you still patent software? And other questions about patent law. – Steps that inventors need to consider during development and patent prosecution to best position themselves for long term patent protection. Barry R. Lewin is a partner and a patent attorney with Gottlieb, Rackman & Reisman. Barry focuses his practice on patent prosecution in the mechanical and electronic arts including software-based and hardware-based inventions. Prior to earning his law degree, Barry was a Director at Lucent Technologies, Telcordia Technologies, and SAIC, where he led teams in intellectual property and new product development. Barry holds a Doctor of Law degree from Rutgers School of Law, a Master’s degree in Mechanical Engineering from MIT, and a Bachelor’s degree in Mechanical Engineering from Tufts University.